Ideas to Matter is a business unit of Quest Integration, a value added reseller of SOLIDWORKS since 1998. Ideas to Matter provides complimentary award winning support from degreed engineers. With the Sindoh 3DWOX, bringing your Ideas to Matter has never been more simple, fun and cost effective. Solid Solutions Ireland is a Reseller of SolidWorks and Sindoh's 3DWOX Printers. Solid Solutions Ireland is a Reseller of SolidWorks and Sindoh's 3DWOX Printers. Having a wealth of experience in the CAD and Engineering Industries, Solid Solutions Ireland prides itself on the high level of service it offers to all of its customers. We have a broad range of customers, ranging from the Educational Market to small entrepreneurs with one or two systems to multinationals with complex installations. For further information please contact +353 1 2974440. Systematics' solutions in the field of desktop 3D printing enable the design and production of models, prototypes, and physical imaging in an environment that integrates 3D printers and software solutions made by Sindoh 3DWOX. The printers enable a real time prototyping process, which allows the development of products that meet the needs of the market within shorter time schedules, while saving resources. In this one stop shop you will find almost anything that you need to equip a fablab, makerspace, hackerspace or STEAM-classroom. We based our product offer in the first place on the MIT fablab inventory list and people who want to start a fablab should definitely check out the Fabfoundation site. Second, because of our expertise in managing fablabs (fablab Brussels and fablab Erpe-Mere) for the past 5 years, we added some products of which we are very satisfied. Since founded in 1976, Delta Equipment has been specialized in development and distribution of Automation, Industrial Robotics and Additive Manufacturing systems as a leading industrial supplier of control valves, pneumatics, linear motion and motion control. And now it would expand 3D printer lineup collaboration with Sindoh 3DWOX. Delta Equipment is an Authorized Reseller of Sindoh 3DWOX 3D printer. It offers you personal desktop, professional design and industrial 3D printers along with installations (configurations), project case studies, raw materials, consumables and 3D simulation software for your applications as well. NeoMech Ltd. (www.neomech.gr) is a Greek high-technology company based in Athens, the country’s capital city. 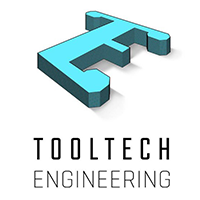 The company has a strong academic and industrial background and years of experience in 3D-CAD Modelling & Surfacing, Additive Manufacturing (AM) / 3D Printing, Reverse Engineering and 3D Digitization and maintains close relationship with the local industry & academia, addressing several sectors across the Greek economy and education. NeoMech completes its portfolio of quality, reliable but yet economical solutions in 3D printers, 3D scanners and software with the awarded, user-oriented Sindoh range of 3D printers. Sindoh’s full range of products can be directly purchased online from our dedicated webshop: www.shop3d.gr. The company Solid World works with technical informatics and industrial engineering. From the year 1999 on, it has introduced advanced software into developmental technology processes of the companies. It is an authorized representative for Sindoh 3DWOX 3D printer, SolidWorks and SolidCAM software. It pays a lot of attention to education, training of personnel and technical support. Along with technical informatics, it also offers service and precision measurement of CNC machinery. Yenasoft, based in Istanbul, Turkey is reselling Sindoh 3DWOX 3D printers in the Turkish region. The company was established in 1996 as a reseller of Esprit and Solidworks CAD/CAM solutions to the manufacturing, engineering and design segments. In recent years, the company has become one of the leading Solidworks partners in the market. Yenasoft offers Sindoh's 3D solutions to its professional clients and customers who are seeking powerful, qualified complete 3D printing packages integrated with SOLIDWORKS Add-ins. iGo3D - let's go together! iGo3D is a leading European distribution company, specialized in professional products for 3D printing and scanning. iGo3D offers a wide range of 3D printers, 3D scanners, software, consumables and accessories. Since 2013 iGo3D is developing an international distribution and retail network in order to provide customer-orientated 3d printing, service solutions and is cooperating with major key-clients on the market. CADSYS is a supplier of technical software solutions, services for engineering departments of CAD/CAM/CAE/PLM with 3D printers. It offers timesavings solutions for design, CFD and FEM and sales qouting with Sindoh 3DWOX. As a It works with all sizes of companys from 1 to several thousands employees within products related to machine, metal and plast industry. Solfins is a project engineering company. With more than 20 years of experience, we can help you to stay competitive. Besides, we can offer you a unique 2D and 3D CAD/CAM solutions, as well as solutions for various calculations and 3D printing simulations, document management systems, running of CNC machines, etc. We are representatives for CNC mill and lathe machines Hurco, Heller, Roeders and Schiess. Also, we represent one of leading software in CAD/CAM world - SolidWorks and SolidCAM along with Sindoh 3D printers. Our offer is completed with our technical support and service for our products. Nigama Plus is a professionally associated company with development and manufacture of automation equipments. It specializes in sales of electrical products along with Sindoh 3D printers. Purpose of the project is to manage and develop Marketplace NIGAMA.BY, matching the high level of business relations sellers and the buyers. We care about convenience of placing orders and efficiency of its sales & marketing implementation. HDH-Mérnök Kft. is a fully hungarian owned company established for providing project management, technological consulting, 3D additive manufacturing, industrial services and 3D printers distributions. Many domestic and European Union tenders have been managed by our colleagues in the past years; they participated successfully in obtaining many subsidies targeted for the industry and different fields of science, and in making feasibility studies. I am MAKER was founded under the company Rabbit Prototype with a team of experienced design engineers. For more than 20 years, the company has been a Thai-based company. We can provide a full range of prototype or low volume production services, from Scan & Reverse Engineering to 3D modeling to the production of masterpieces. Xplorer3D is a 3D Printing solutions company specializing in complete end to end desktop and industrial 3d printing solutions since 2012. Xplorer 3D provides individuals, teams, organizations, Industries & Educational institutions, the best in class 3D Printing systems, services & solutions that change the way they work. The design process is accelerated & liberated. It becomes more iterative and creative because of what we do. With our 3D Printing solutions, we have transformed the manufacturing processes making them more agile, more efficient & more customized. CADCAMCIM began in 2000 based in Cairo, Egypt. 2003, CADCAMCIM expanded its coverage territory to the whole Middle East. CADCAMCIM is a Value Added Reseller for a number of the biggest worldwide software companies working in CAD / CAM / CAE fields, providing technical support through enthusiastic, professional technical support engineers, the team has a wide spectrum of expertise in the field of CAD / CAM/ CAE Integrated Solutions and 3D Printing. Spark, is the Nation’s premier provider of consulting and training services for the Mechanical & Electrical design industries. Spark's industry experienced consultants are the best in the business and are here to offer you the highest level of technical support available. It's time to unleash your inner maker with Sindoh's amazing 3D printers. Innovative Ink Technology formally ERT Ribbons International started in 1984. We started with dot matrix ribbons in the 80’s then started manufacturing Ink Jet inks in the 90’s for office printers In 2000 we started mfg specialty inks for high speed printing that require Fast Drying non smearing. Today Innovative Ink Technology, mfgs inks, toners and 3D filaments for the Industrial, Banking, Postal, product marking, Developing New Ink Jet inks, Solid Ink Technology and 3D printing products. Wow3Dprinter.com is all about 3D Printers. Lowest Price and customer satisfaction are guaranteed. We are proud to become an official reseller of Sindoh 3DWOX 3D Printers. Our Support Center replies to your support requests quickly whenever you need it. First Technologies is the leading provider of FabLabs, Advanced Manufacturing Programs,Engineering Programs, and many other programs that utilize SolidWorks design software and a wide range of technology hardware. We specialize in assisting schools with integrating math and science into these programs. First Technologies staff is SolidWorks Certified, with over 20 years of experience in Education. We are ready to deliver Professional Development to the K-12 System and beyond. 3Delta is a pioneer Mexican company in the 3D printing industry. With years of experience, we are specialized in the commercialization of 3D printers, 3D scanners, 3D pens and their filaments. Our products had been useful for schools, universities and companies to explore the 3D printing world. Using SINDOH, we’ve served universities to create their FabLab. We are located in Azcapotzalco, Mexico City. 3Delta es una compañía mexicana, pionera en la industria de la impresión 3D. Con años de experiencia, están especializados en la comercialización de impresoras 3D, escáneres 3D, plumas 3D y sus filamentos. Han tenido la oportunidad de trabajar con colegios, universidades y empresas, acompañandolos para explorar el mundo de la impresión 3D. Con los productos SINDOH, se han armado FabLab’s en distintas universidades. Están ubicados en Azcapotzalco, en la Ciudad de México. BKB Maquinaria Industrial has 30 years of experience in the area of sales and technical support of conventional machinery and numerical control. In the last 10 years, it has established itself as a leading company in integral solutions for the manufacturing industry, by integrating CAD / CAM software products, 3D scanning equipment for reverse engineering and additive manufacturing equipment (3D printing) into its product portfolio. It also has a modern training room specialized in 3D technologies for design and manufacturing. iMakr is a world leading reseller of best in class 3D printers. The company operates imakr.com and two flagship stores in London and New York. With the largest range of desktop 3D printers and scanners in the market, iMakr offers FDM, SLS, SLA, DLP, ceramic and metal printing technologies. iMakr caters to both consumer and professional customers targeting multiple industries and has dedicated itself to finding the right solutions for every application. The company also offers consulting, training, printing, scanning and design services. INTSERVO is exclusively authorized distributor of eSUN brand 3D printing filament on Amazon. Established in 1974, the flagship company of the Jumbo Group, Jumbo Electronics is UAE’s leading distributor and retailer for IT & consumer electronics. Since its inception, Jumbo has been the chief distributor of the iconic brand, Sony in the UAE. Jumbo is a partner for many of the world's other leading brands including Sindoh 3DWOX 3D printer as well. 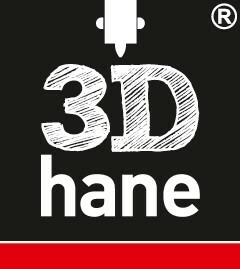 3Dhane is giving it's experience and the most effort for creating an awareness in terms of 3D printers and printing technology in Ankara/Turkey. With the skillful solutions we are opening a new world for our customers. We bring a new dimension to our solutions with presenting Sindoh to Turkish market. 3Dhane is making the 3D Printing World more accessible day by day with the stability of Sindoh 3D Printers. 3D Aura’s physical showroom, eCommence shopping sites and support center are all designed to provide the best possible experience while shopping for your next desktop 3D Printer. We specialise in consultative sales to Education, Government, Engineering, Architectural and Design firms. Our MakerSpace showroom has all types of demonstration printers and print samples so we can guide you through the best workflow for your needs. We keep an extensive inventory of printers and consumables in stock to ship out same day and have our own technical support team in house to provide you support by email, phone and chat. 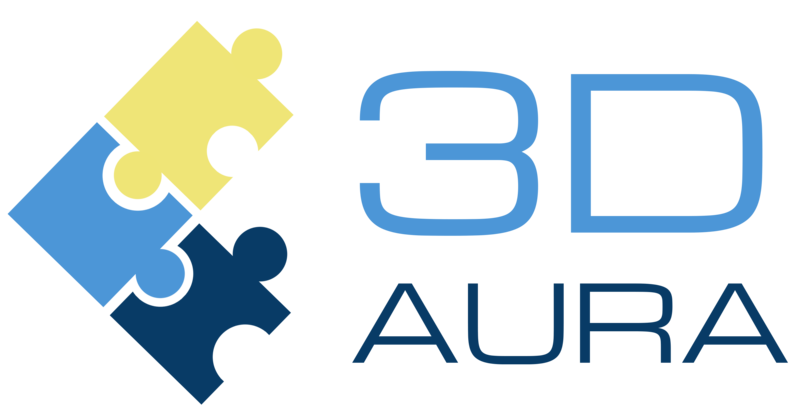 Get the service you deserve when working with 3D Aura as the most dedicated 3D printing company in Singapore. FORM MAKINA established in 1992 and has reached over a 70 employees providing comprehensive pre-and after-sales services for CNC machines and industrial/engineering 3D printers along with personal/desktop models (Sindoh 3DWOX) including comprehensive pre- and after-sales services for the machines. Form Makina/FormServis offices in all areas provide sales, marketing, machine installation, training as well as service and technical support to our customers with their exprienced staff nationwide in Turkey. DISEGNO SOFT is a company specialized in providing the best CAD, CAM, CAE, PDM and ERP engineering solutions. Founded in 1993, it has extensive experience in the market to date, dedicated to providing solutions, products and services to industrial companies of various fields. The main industries in which it operates are: Metalworking Companies (Molds, Matrices, Special Machines, Automotive, Transportation, Consumer Products), Heavy Industry (Mining, Petroleum), Service Providers (Design, R & D). Our mission and vision is to provide a complete and innovative high-tech solution to your clients, covering all business processes, from computer-aided design (CAD), computer-aided manufacturing (CAM), computer-aided engineering (CAE) ), product data management (PDM) and business resource planning (ERP). DISEGNO SOFT provides its services nationally and internationally from the cities of Córdoba, San Francisco and Buenos Aires in Argentina and our main clients are in Argentina, Chile, Paraguay, Bolivia and Uruguay. DISEGNO SOFT es una empresa especializada en proveer las mejores soluciones de ingeniería CAD, CAM, CAE, PDM y ERP. Fundada en el año 1993, cuenta a la fecha con una amplia experiencia en el mercado, dedicada a brindar soluciones, productos y servicios a empresas industriales de diversos rubros. Las principales industrias en las cuales opera son: Empresas Metalmecánicas (Moldes, Matrices, Máquinas Especiales, Automotriz, Transporte, Productos de Consumo), Industria Pesada (Minería, Petróleo), Empresas proveedoras de servicio (Diseño, I + D). Nuestra misión y visión es proveer una solución completa e innovadora de alta tecnología a sus clientes, abarcando todos los procesos empresariales, desde el diseño asistido por computadora (CAD), la fabricación asistida por computadora (CAM), la ingeniería asistida por computadora (CAE), la gestión de datos de productos (PDM) y la planificación de los recursos empresariales (ERP). DISEGNO SOFT brinda sus servicios a nivel nacional e internacional desde las ciudades de Córdoba, San Francisco y Buenos Aires en Argentina y nuestros principales clientes se encuentran en Argentina, Chile, Paraguay, Bolivia y Uruguay. DISEGNO 3D is a company specialized in providing the best CAD, CAM, CAE, PDM and ERP engineering solutions. Founded in 2012, it has to date a wide experience in the market, dedicated to providing solutions, products and services to industrial companies of various fields. DISEGNO 3D provides its services nationally and internationally from Santiago in Chile and our main clients are in Chile, Argentina, Paraguay, Bolivia and Uruguay. DISEGNO 3D es una empresa especializada en proveer las mejores soluciones de ingeniería CAD, CAM, CAE, PDM y ERP. Fundada en el año 2012, cuenta a la fecha con una amplia experiencia en el mercado, dedicada a brindar soluciones, productos y servicios a empresas industriales de diversos rubros. DISEGNO 3D brinda sus servicios a nivel nacional e internacional desde Santiago en Chile y nuestros principales clientes se encuentran en Chile, Argentina, Paraguay, Bolivia y Uruguay. Company introduction : LEON3D is a sole 3D printer distributor of Leroy Merlin Spain with a wide range of 3D technology hardware and materials in Spain since 2013. It provides complimentary award winning support from engineers and sales & marketing experts. The products have won all tenders for schools. Nowadays, LEON3D is focused more on universities, public organizations and companies to explore the 3D printing world in the market based on strong and reliable partnership with Sindoh. Partsbuilt 3D specializes in high quality 3D printers, filament, parts and accessories for education, manufacturers, small businesses and home use. We offer fast, flat rate shipping anywhere in the continental United States. International shipping available. DGTALIC is a Company of Design, Production, 3D Printing in Costa Rica and sale of 3D Printers, a new and revolutionary way to turn ideas into reality. We seek to be a company able to create bridges between the imagination and the real world, understanding that we live at the point where fiction becomes reality. 3D Lab Store is a leading Hong Kong-based distribution company specializing in 3D printing solutions and equipments including 3d printers, scanners, filaments and training services. We strive to provide quality customer support to our clients. Over the past several years, we have established a trusted reputation as a specialty 3d printing distributor to different sectors including education, government, hospital and corporate as well as makers and hobbyist. 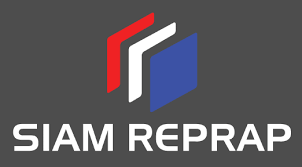 Siamreprap is the first 3D printer store in Thailand. There is an official store that located in the central of the Bangkok. The store is very easy to visit because it is closed to the BTS sky train. The company has an experience in 3D printer especially FDM technology. Not only 3D printer but also give the services for repairing the 3D Printer. Northeast CNC/3D is a machine tool distributor and service company. With over 60 years'​ experience on the sales and manufacturing side alone, there is a wealth of knowledge and expertise available to help you make the best choice for your next machine purchase. TECNOTRADE OBRABECI STROJE sro is an official Sindoh Reseller dealing with the distribution of Sindoh 3D Printers in Czech and Slovak Republics. TECNOTRADE also provides customer service during and after the guarantee period. Desktop Machinery offers 3D printing solutions for businesses. Bilcotech is a dynamic and avant-garde company specialized in the distribution of 3D digital systems. We provide our consultancy both to important companies in specific sectors and at the same time taking into consideration also those who approach 3d printing and digital printing for the first time. We support our customers in all phases of the digital flow with the target to give the possibility to lead the customer to independently obtain quality results.